Ambiente y Sociedad is a non-governmental organization that focuses on defending and promoting both human and environmental rights. 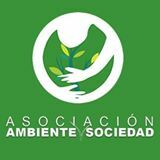 Ambiente y Sociedad aims to generate positive change in regulations, policies, the decision-making processes, and practices regarding environmental issues. The organization also seeks to promote the active, central, and effective participation of civil society in environmental issues. Ambiente y Sociedad’s mission is to help Colombian society better understand the impacts society has on the environment and promote a culture that respects nature, protects the environment, and advances human rights.